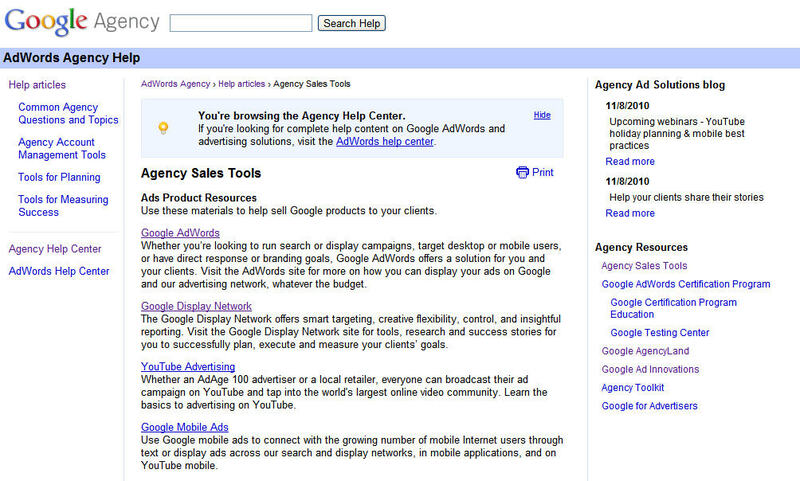 To date, the Agency Help Center is available for the US and UK. 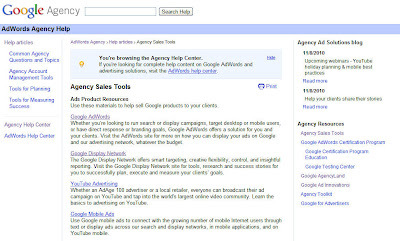 Over the course of Q4'2010, we'll be localizing this resource across multiple languages, as well as continuing to incorporate new agency-centric resources into the site. 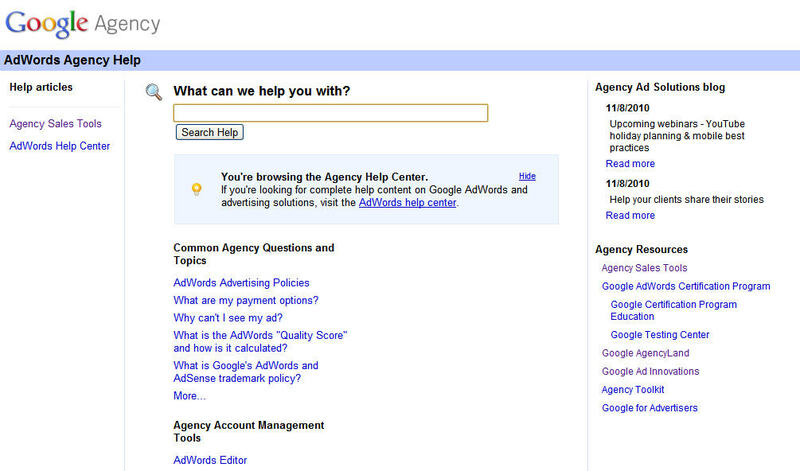 As agencies, you face the unique challenges of mastering the suite of Google media solutions and account management tasks across many accounts. Knowing that you often have questions specific to managing multiple client accounts at scale, we've created an Agency Help Center to provide you with easy access to answers for your most common questions, as well as useful resources to help you strategically manage your businesses. We also know that many different sites exist that offer support to agencies for account management, product adoption, media planning, and identifying best-in-class examples. 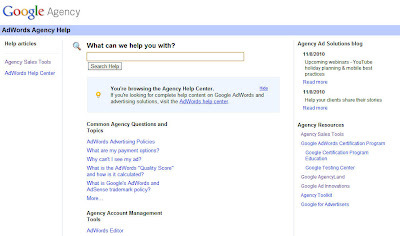 To make life a little easier, we've added links to the Agency Help Center for the most frequently used resources -- including Google AgencyLand, the Agency Toolkit and the Google AdWords Certification Program -- so that you only need to go one place to find everything you need.